This was not one of our best falls, as far as the colors of the leaves. However, real estate was spectacular! In fact, it was the most we’ve seen sold in this area since 2014. Still, winter is coming. Will we still see the growth? October Sales Highest Since 2014! It seems that June and October 2017 have been our best months so far this year. While some of the other months have proven to be slower, these two months have us moving toward the best year in sales compared to previous years. 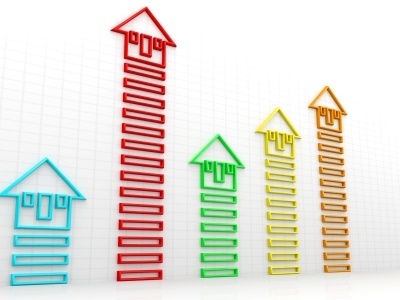 This upward trend can be great news for Sellers! At Hattler Properties we have seen the increase in walk-in traffic and phone calls. There are properties currently under contract and more on the horizon. Unfortunately, no one knows how long the ride will last nor when and where it may change. Until there is more data, it’s difficult to say what the future may do. While markets around the country have been noted as doing quite well, every market is different. This market has been slower than the market trend elsewhere. However, this is typical for this area. The market lag is about 2-3 years. In other words, what other markets are doing, we will often do as well. It just takes about 2-3 years for us to follow. There were two areas of home sales that were particularly noteworthy. These areas were homes priced from $250,000-$500,000 and those over $1,000,000. Both areas saw a significant increase in the number of units sold of 119% and 100%, respectively. That’s doubled or better than the number of homes in the same price range over Septembers sales. While it is good to see this growth in the area, there is still a major need for what many may consider “affordable housing.” There is also a great need for long term rentals. Each year, restaurants, clubs and others are trying to find housing for their staff. Rentals for such are few and far between. They also fill up fast. Pricing can start at $800/month and go well above that number. People that desire to live and work in the area also have a hard time finding homes around or under $200,00. A recent search revealed only 4 such homes near the Cashiers area, 3 of which were no where near town. Housing in this price range is near non existent. The foregoing is the reason for all the traffic to and from Franklin and Sylva each morning and afternoon. Homes Sold This Month: 91 Well above the average! October proved strong. YOY Inventory: 20 months – Slight drop, which is positive. Still, inventory levels over 6 months will keep prices down. A “healthy” market is considered to have 6 months inventory or less. Average DOM: 294 This is for October Only. Average DOM (YOY): 392 – The season is short, thus DOM in this area is typically higher. DOM in this area does not necessarily reflect a properties sale-ability. Median Sales Price: $390,000 . This is not average selling price, but median. This is the “middle” mark of all homes sold. The median had been in the $200,000 range for quite some time. This mark helps us to see that more buyers have increased their spending levels. Average List/Sell Ratio: 90.06% – Unfortunately, this is not a good number. In other words, properties are considered as priced to high by the Buyers. Pricing high to negotiate selling at a lesser price may not be the best strategy in this type market. Buyers will simply look for homes priced closer to their budget/needs. It has been observed that properties that are closer to the Fair Market Value seem to be the properties that are moving. Still, sales at only 90% of the asking price shows that most of those properties are priced too high. One can easily price themselves out of this market. Synopsis: The market appears like there may be some overall improvement, at least as far as the price range that people are spending in and the movement of units. Still, Sellers should observe this trend and adjust accordingly. It’s not time to start asking for higher prices, but to price according to Fair Market Value. Fair Market Price may easily be seen in the number of views your home may be getting. Land Units Sold: 14. The land market is still relatively flat. Synopsis: No demand for land and high inventory keep land at its lowest pricing. Exceptions may be lakefront on Lake Glenville where there is more demand. Still, with the inventory on homes that are available on the lake, even these land prices may be kept lower. 46% of home sales ranged from $200,000 to $499,999. 14% of home sales ranged from $500,000 – $749,999. 9% of home sales ranged from $750,000 – $1,000,000. 10% of sales were above $1,000,000. BUYERS: Time may be running out to find that dream home in the mountains at a great price. There are still many bargains to be found, but those may soon start to decline. SELLERS: Price right and stand firm. Price high in expectation to negotiate and you may have to hold on a bit longer. Property is moving, but you need to be “in” the market and not just “on” the market. CONCLUSION: Real estate in Highlands and Cashiers has always been sought after. It seems the economy my be starting to allow buyers to consider their expendable income and the possibility of owning their home in the mountains. If you are looking to buy or sell a home in this area, use the form below to contact an agent that knows the area and familiar with this market. Selling Homes in Highlands, Cashiers, Glenville and Sapphire Area, as well as Franklin and Sylva. This material is based upon work performed by Rick Creel, Broker. It is intended to provide an overall view of the real estate market for Highlands, Cashiers and surrounding areas of the Highlands/Cashiers Board of Realtors. It is composed of data from the HCBOR and NAR for this MLS only. Any opinions, findings, conclusions or recommendations are those of the author and do not reflect the views of any others. There can be no assurance that this information is complete, accurate, or includes all available market data; all information is subject to change. Users of this information are advised to consult with their financial experts about the interpretation and usefulness of information contained herein. It is unlawful to duplicate or distribute the information contained in these reports. For more information or to consider listing your home with an agent or buying a home CLICK HERE. To determine the value of your home you should contact a real estate agent. However, it’s not “Rocket Science”. Still, you need to know the determining factors for a Current Market Analysis. The key word here being “Current”. Comps – This is just short for “comparisons” or “comparative”. In other words, you try to find a home that is similar to yours, the “subject property”. Unfortunately, unless you live in a “cookie cutter” subdivision chances are pretty good you’re not going to find a home just like yours. Also, these need to be “sold” comps, not those currently listed on the market. This is what real estate agents and appraisers use from the MLS. DO NOT COMPARE YOUR HOME VALUE TO LISTED PRICES. It is the “sold” price that determines what knowledgeable buyers are willing pay. You can use a Uniform Residential Appraisal Report to help you see how determine the value of your home. However, unless you are familiar with these values and their differences it may be unwise to try to make such adjustments. Unfortunately, sentimental value carries no monetary value. This is where most homeowners have a hard time separating their feelings from the reality of what a home buyer is willing to pay. 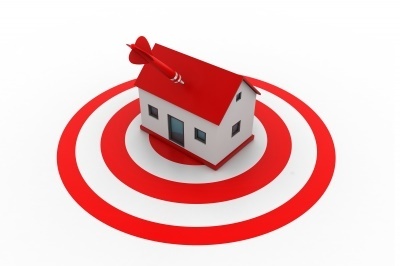 Tax Assessment – This IS NOT a good factor in determining the value of your home. For example, here in Macon and Jackson Counties of NC, property tax does not have to be re-assessed for every 8 years. Property values may rise or fall and current assessment can be quite different from the current market values. Macon County just raised their tax rate in 2015. Jackson County may also show an increase in millage rate coming soon. Real Estate Market Trends – You should know the current market trend. Is it rising, falling or holding steady. This, too, will help you determine the current value of your home. Motivation – Why are you wanting to sell? How soon do you want your home sold? These are factors to determine as well. Your Real Estate Agent is the best source for helping you to determine the value of your home. Remember, they’re not your enemy. They want to sell your home for as much as possible. Their salary and profession depend upon that. However, an over priced home does no one any good. It sits on the market, becomes known as an overpriced home and other agents may not show it. It wouldn’t be fair to their potential buyers. So what do you do? Hire a Professional. A Real Estate Agent is here to help you. Their knowledge and activity in the Real Estate World is what helps you get your home sold. Yes, they do charge a fee for their services, but think of it this way; you can hire a professional painter to paint your house or you can get your neighbor to do it and maybe save some money. However, which would give you the better and/or desired results? Hire a real estate agent to help you determine the value of your home. Please share your comments below on how you determine the value of your home.